Is cloud computing the technology that will actually deliver the promise of virtualisation to small businesses? Do you remember the first time someone explained what virtualisation could do? And sure, I know about all the pre x86 virtualisation running on mainframes. I don’t mean that. I mean when someone showed you VMware? I do, and it took a little while to get my head around it, and then to believe it could actually be fast and stable. Now, with that question, I making an assumption here. I am assuming that you have been in IT long enough to remember a world without virtualisation as a mainstream technology. I would say that really happened in the SME space in at the end of the 2000s. Before virtualisation, one server was one box with one bunch of disks and a few connections to the network. A relatively small company could easily have a rack full of servers just to run its basic office applications. Then VMware came along and things started to change. But did they really change as much for SMEs as the hype promised? I would say no – not at all. Sure SMEs could consolidate a bit of hardware here and there but that is really just a part of virtualisation was supposed to be about. Indeed, look at what enterprises do with virtualisation. They have done nothing short of rip up the rule book when it comes to designing, deploying and managing their compute, storage and network resources. But when you think about it, pretty much none of that carried through to SMEs. Why? Well, the bad news for SMEs is that doing virtualisation “properly” and on the cheap is just not an option. Let’s just take the basics. If you want the baseline set of virtualisation features you need 3 servers, 2 good switches and a decent SAN. At today’s prices, just that can set you back £25-50K. Next you need to invest in the virtualisation and backup software, which would typically come to about £10-15K. And then think about an IT provider to bill you about £5 to get it all going. So let’s call it a ball park figure of £60K. So you try to flog that to a client that has 10 servers now and they are thinking “£6K a server? I thought all this great consolidation was supposed to be saving me money! ?” and they would be completely right in my book. So SME virtualisation was really limited to very basic and feature-light deployments. It always struck me that, while clients did maybe get to reduce the hardware footprint, unless they went for a fully resilient infrastructure (which they never did), they usually ended up increasing risk by consolidating workloads onto a small number of servers that did not have decent fault tolerance. No shared storage and distributed networking and fault tolerance kinda goes out of the window. And it has been like this for the last 10 years really. Virtualisation, as a really transformative technology for IT operations, just didn’t happen to SMEs. But maybe there is light at the end of the tunnel, and ironically from a technology that was really pushed at larger businesses first – cloud hosted computing, and specifically hybrid cloud infrastructure-as-a-service (IaaS) solutions that are really maturing now. Services like AWS and Azure were originally touted by Amazon and Microsoft as “elastic, on-demand computing” for enterprises, you know, for when your own IT department was just too much of a leviathan to be able to respond to the hyper-dynamic demands of your organisation. It makes me think of a bunch of impatient millennials rebelling against their sluggish bosses and IT departments, saying “no, I need a server NOW and I only want to pay for the CPU cycles that I use until I turn it off next week and try something else!”. Anyway, as a business model it evidently worked. AWS is a monster now, and Azure is also sucking up a lot of corporate hosting business that used to go to dedicated hosting outfits like Rackspace. But when you think about it, cloud computing, especially when it is done right, has so many advantages for SMEs. In fact, if you list them next to the things that virtualisation was supposed to deliver, you find that they are very similar lists, and cloud computing has some extra USPs of its own. Let’s start with reliability. This is the big one. Well, that is a big tick. 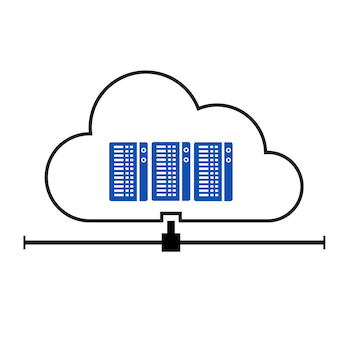 Public and hybrid clouds are built as large multi-tenant server and storage clusters. Providers invest to make sure that they can deliver high SLAs, so sure, they have more reliability than an SME could ever have hoped to achieve with their own hardware. Next you have the ability to flex to demands. Now, if you are real life SME then your demands are really not changing week by week, or even month by month for some. SMEs with 10-20 servers are likely to add or remove new servers fairly seldom in the grand scheme of things, but taken over a horizon of a few years, these changes and additions add up. Cloud computing turns a slow creeping planning issue into no issue at all. Then you come to cost. This is as usual, a complicated one and I am not here to tell you that cloud computing will slash your IT budget to nothing. Ture, cloud computing takes out pretty much all the capex part of your IT budget when it comes to servers and storage, but you do get a decent slug of opex to in its place. Now for many, that is exactly what they want. First, they don’t have to find £30K every few years to replace their servers and carry out a massive re-build project. Secondly, if they actually want to downscale for a while, then they have not sunk tons of money into kit they just don’t have use for – they can flex down the cloud computing services at will. But I am realistic about this and I would say that the average SME would be about cost-neutral vs buying their equipment over 3 years or so. But that is not where the cost/benefit discussion ends. Where an SME can make really big savings, as well as reduce risk a lot is that they don’t have an IT infrastructure to support. So it beats virtualization 1.0 hands down there. You can call a decent virtualised environment many things, but you can’t call it trivial to look after. It requires either a good IT manager or an outsourced IT service provider to look after it for you. With cloud services, an SME gets a the Duplo Lego web control panel to manage their virtual hardware instead of the diabolical Technic of vCenter or SCVMM, with all the little bits that you can’t find or lose under the sofa. And that means both less expenditure on staff to look after the servers and less risk if those people take a day off. It becomes about the applications themselves, the things users actually use, instead of the gubbins behind it all. That means more focus on productivity and helping people get their work done effectively and in newly creative ways. Now I know that this is all starting to sound a touch polemic. There is no nirvana here. But when you think about how cloud computing works within an SME, you do start to see that the really transformative promise of virtualisation starts to come through, and I think that is why it is undoubtedly the future for SME computing. And with easily accessible hybrid clouds that allow you to blend cloud and on-premise computing, as well as ready access to fast connectivity available to more and more SMEs at affordable prices, the offering starts to look more and more suited to SMEs looking for flexible, reliable computing on a budget, with a sensible price tag and with a fraction of the hassle of a traditional on-premised virtualised environment. Cloud computing. Think of it like virtualisation 2.0. Now, 10 years on, the SMEs are finally invited to the party. Find out more about Cerberus’ suite of MyCloud Computing services here.